Danger is everywhere, whether you notice it or not. It can strike at any moment. It could be the medication you take before you head out to work, a slip and fall at your job, a car accident when you’re driving home, a freak accident when playing sports – a tragedy can occur when you least expect it. Any type of personal injury accident can spell serious injury and harm that can leave you and your loved ones with mounting medical bills, stacks of invoices from the mechanic, and truly painful mental and emotional anguish. You deserve justice when you have been involved in a personal injury accident that wasn’t your fault. You deserve to be compensated for your pain and suffering. You deserve a team of dedicated personal injury lawyers who have the experience and success rate necessary to help you get your life back. The Houston personal injury lawyers of Lapeze & Johns are here for you when you have suffered a severe and debilitating personal injury. Do not hesitate to contact us today at 713.739.1010 for a free case review. Personal injury accidents can happen anywhere and at any time. If you, unfortunately, fall victim to one, you will need a team of attorneys that have an excellent record representing victims. Keith Lapeze and Christopher Johns have over 30 combined years of experience as trial lawyers in Texas, the Gulf Coast, and all throughout the nation. Their hard work and expertise have earned them a reputation as some of the best personal injury lawyers in the nation – a sentiment shared by peers and even the attorneys they go up against. Actual – Actual damages often cover medical expenses and lost wages. General – General damages usually cover pain and suffering, mental anguish, or physicalpain. Punitive Damages – Damages that are sought as a form of punishment to a party that acted negligently or under intentional misconduct. These could be limited according to state law. Court Costs and Attorney’s Fees – Damages that are meant to cover representation expenses to the plaintiff. Medical Expenses – Medical expenses are costly. When you file a personal injury claim, you can fight for compensation to cover not only current medical expenses but also to cover any future medical expenses to treat the same injury/ies. Property Damage – This type of compensation helps you recover lost property costs (e.g. your car in a car accident). Pain and Suffering – This type of compensation differs from client to client as it is compensation that covers quality of life changes. It’s not unusual for your lawyer to enlist the aid of qualified experts to analyze these changes and to provide testimony if necessary. Emotional Distress and Trauma – Personal injury accidents are traumatic. Emotional and mental scarring far outlasts any physical injury you may have sustained. 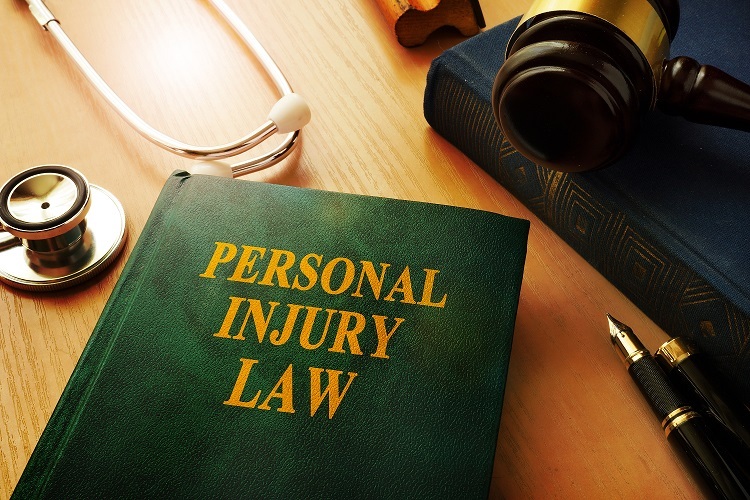 With the right personal injury attorneys, you can obtain much-needed compensation that can go towards counseling or other activities you need to get you back in the right frame of mind. Loss of Income and Future Earnings – This type of compensation helps you to recover any lost or future wages if your injury does not allow you to return back to work. Loss of Consortium – Personal injury accidents don’t just affect victims, but they affect the loved ones of the victims as well. This type of compensation helps cover injuries that affect a victim’s ability to interact with their loved ones. With a trial win rate of 98%, $385 million in damages won, and over 30 years of combined experience fighting for the rightful compensation for our clients, the Houston personal injury attorneys at Lapeze & Johns have the legal expertise to accurately and diligently represent you in your personal injury claim. Recruit the Personal Injury experts at Lapeze & Johns by contacting us today at (713) 739-1010 for your free legal consultation.